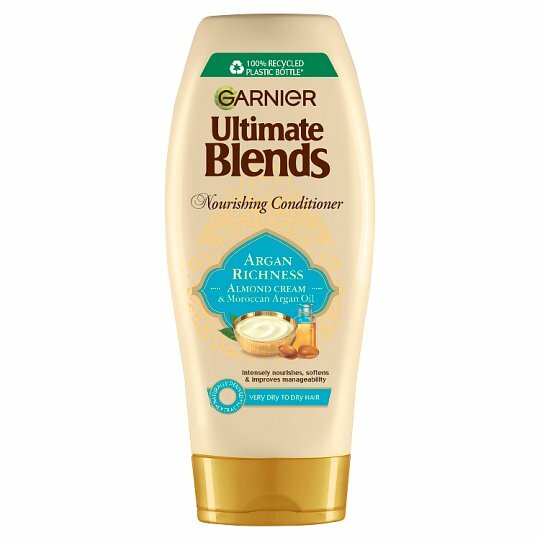 New Garnier Ultimate Blends Argan Richness Conditioner, with precious Moroccan Argan Oil & rich Almond Cream, for very dry, unruly hair. When badly behaved hair has a mind of its own, take control with nature's help. Feel softer, shinier and fairytale for up to 72hrs with our New Vegan haircare range. Our Argan Oil Conditioner leaves hair feeling deeply nourished, enriched, incredibly shiny and supple for up to 72hrs. Unruly dry hair is tamed, easier to manage and feels beautifully soft and smooth from root to tip. 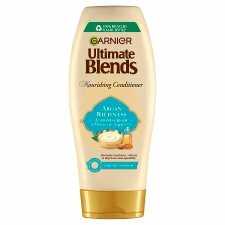 When hair has a mind of its own, take control with nature's help and discover Garnier Ultimate Blends Argan Richness Conditioner 360ml. The ideal dry hair treatment. Argan Oil, an elixir prized by Moroccan women since the dawn of time, and Almond Cream are blended with love in a creamy, silicone-free formula to leave hair soft to the tips, easier to manage and shining like the Moroccan sun. 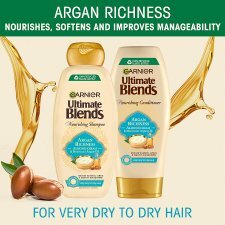 How to Apply Garnier Ultimate Blends Argan Oil Argan Richness Conditioner 360ml: Smooth the Garnier Ultimate Blends Argan Richness Argan Oil Conditioner generously into wet hair and rinse thoroughly. Use after our Argan Oil & Almond Cream Shampoo. For intense care, indulge in our Argan Oil & Almond Cream Hair Treatment Mask today.